Diced bell peppers, green onions, peanuts and zucchini, tossed together with spicy chicken are the main ingredients for Kung Pao Chicken. Combine it with a heap of chow mein, and you have what used to be Guisou Akhayan’s favorite meal between classes. The food had always tasted OK to the junior communications major, and Akhayan said she bought it mainly for its convenience. But what changed her mind about dining there again actually happened after she finished eating. At first, she didn’t think too much of the stomach aches, so she dined there again, she said. She came to regret that decision when she suddenly had to leave her COMS 360 class because the pain had turned to nausea. The Student Health Center said they do not keep track of the ailments patients are seen or treated for and could not provide any information regarding food borne illnesses such as Salmonella, Hepatitis A or Cholera. The Los Angeles County Department of Public Health (LACDPH) conducted a routine inspection at Panda Express in February and received the highest rating of all the 21 eateries and stores on campus. The only violation was for a broken rice warmer handle, resulting in a score of 99 out of 100. All of the other food vendors and outlets on campus, from kitchens and cafes to markets and snack bars, all scored lower than Panda Express, but still received the coveted ‘A’ rating. However, online reports show that some places have not been inspected by the health department in more than two years. This violates laws requiring health inspectors to check all food vendors at least three times a year, according to Los Angeles County Environmental Health. An official from the West Valley District Office said in a phone interview that the health inspectors are behind on work and only have time to check high risk places. He said inspectors are supposed to look over kitchens every three months. Some campus restaurant inspections are up to date, such as at The University Club, but managers failed to present a current report when asked. They either said they weren’t allowed to, or it was not available at the moment. A majority of the employees on campus eateries were unaware that they had to show inspection reports by law. According to the LACDPH Web site, Retail Food Official Inspection Reports are issued annually to ensure “safe and wholesome food.” Everything is inspected from the cleanliness of the ceilings to the temperatures of running water. Is CSUN delivering safe and wholesome food effectively throughout its campus eateries? Journalism students in an advanced reporting class compiled the following content regarding food safety on campus during a three-month-long investigation. The results included health code violations, improper expiration dates and more. Many of the campus eateries have encountered problems. The following violations are from the most recent reports compiled by county health officials and posted on the Environmental Health Department’s Web site and from copies of the reports we have gathered. Depending on the type of meat, dairy product or other food substance, being too hot or too cold by just a few degrees can mean all the difference between a safe and unsafe meal. The bacteria in meat makes it a potentially hazardous food, and therefore it must be frozen in storage or hot enough to serve. According to the most recent inspection reports, Subway did not meet the standards for chicken and The Pub did the same with ground beef. The Arbor Grill and University Club had similar problems. If a restaurant violates a standard, training is provided so improvements can be made. The next inspection will show any progress or downfalls, but there is no guarantee of another one within at least a year. Food inspectors found bacteria at the Matador Food Court’s Freudian Sip last year. According to the inspection reports, mildew and mold were growing in the ice machines while countertops remained unclean. Bacteria resulting from unkempt food, employees, customers or equipment can put safety at great risk. The coffee machines had not been cleaned for so long that food became encrusted around the dispenser nozzles. Equipment also needed to be repaired or replaced. The Mercantile Exchange convenience store near Subway was last inspected more than a year ago and was found to have no soap at the employee hand-washing sink. Regarding the packaged kosher sandwich: those date stamps are the work of an off campus vendor, who delivers those sandwiches early in the morning a couple of times a week. 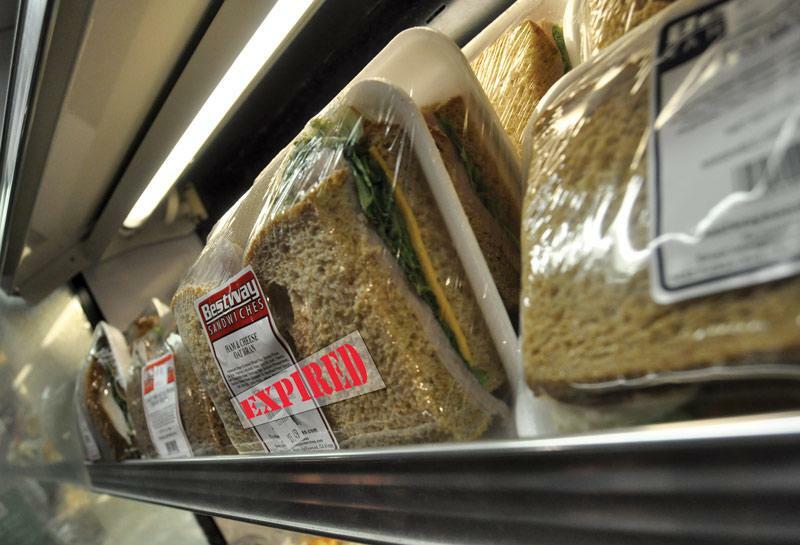 If the ingredient inside the sandwich is bad with no sign of spoilage on the outside, that is most likely the vendor using ingredients past their prime – not the fault of the CSUN facility. During an inspection, the prepackaged foods are not touched because it is assumed that the vendor made them to standard – but the inspectors do note the current temperature of the display case and indicate whether the reading falls within standards. To the writer citing the case about Panda Express: the on-campus location is a lot better than many I’ve visited. I still eat at this location often, tried many of their dishes and have never gotten sick. The story would have had more credibility if specific dishes had been mentioned. I myself have had food poisoning twice; as Turcer stated, the results were definitely noteworthy and to this day I still remember what was on each of my meal plates before I started experiencing symptoms. Frankly, I think it is lazy journalism to used dated internet reports to draw hasty conclusions. The hand soap issue? I checked myself. It was empty once almost two years ago, yet the writing leads you to believe it is some sort of unsolved issue. As for the health inspections, which place on campus hasn’t had one in two years? That’s not possible and or reasonable, and would signal a lapse on the state’s part, not the Corporation. Also, I eat at that Panda Express almost once a week. I think some people need to realize certain foods are not for them. Food poisoning, at any rate, is very serious. I don’t mean to downplay stomach aches and nausea, but actual food poisoning takes at least a day to set in, and the results are hospital worthy. I agree, some people’s stomachs just don’t sit well with certain foods (especially a spicy choice like Kung Pao Chicken). That doesn’t mean anything is wrong with the food. I wouldn’t be surprised if the owners of these restaurants complain about this article. That said, I wouldn’t ever try one of those “premade” sandwhiches that are a few days old. Also, I wish the Sierra Food Court had more healthy options. Too much of the chicken at the Chinese place is deep-fat fried. So I’m glad someone reported on this. Just this week on Monday I grabbed a kosher pita bread sandwich right before class and the tomato was spoiled. The expiration date wasn’t set until tomorrow the 16th. I didn’t go back to Sierra Center because I bought it 5 minutes before they closed. As Manager of The University Club since late October 2008 I have never been asked by anyone for a copy of the Health Dept Inspection. On the other hand, Sherri Warren our Catering Director has been asked multiple times, she has presented the report as well as she has offered to make copies for those who asked to see the report. menu and Wednesday through Friday Buffet.